Optional Practical Training (OPT), a temporary employment program for foreign undergraduate and grad students on F-1 visas, is the vehicle that corporate America, and more specifically the IT industry, uses to circumvent the 85,000 H-1B visa cap and to deny jobs to or displace U.S. tech workers. Its usage has reached an all-time high. Recently, the Institute of International Education, an organization that, according to its website, believes education transcends borders, reported that during the 2017-2018 academic year, OPT permits hit a record 203,462. Read another way, 203,462 U.S. workers have either lost their jobs, as employers like Disney, McDonald’s, New York Life, Google, Amazon, etc.ad infinitum, either replace American workers or don’t even provide them the opportunity to apply for open positions. As a final indignity, qualified but displaced Americans are routinely forced to train their overseas replacements or lose their severance packages. Consequently, for decades now, those on H-1B visas and OPT participants have helped transform Silicon Valley’s tech workforce so that today only 29 percent are U.S. citizens. Remember that “practical training” means holding a job. Since 2008 and measured through percentage growth, OPT dominates foreign-born work authorization categories with a 400 percent increase for science, technology, engineering and math graduates since 2008. Through OPT, some foreign STEM students who initially had a 12-month limit on their work permits can now remain in the U.S. for up to 42 months. Fundamentally, what began as a seemingly innocent student visa that allowed employment under certain conditions has morphed into potentially a 3-1/2 year permission slip to remain in the U.S. after graduation. Opinions about the controversial OPT program are, predictably, at polar extremes. As if by rote, Marie Royce, Assistant Secretary of State for educational and cultural affairs, told TheMercury News, “We need people who can find solutions that keep us secure and make us more prosperous,” suggesting that foreign students are more qualified than Americans to contribute to U.S. security and prosperity. While OPT advocates like Royce, many of her governmental peers and industry captains claim that the imported workers make invaluable contributions, their true appeal is that they’re a cheap labor source. Regardless of what their starting salaries may be, overseas employees don’t contribute to Social Security or Medicare which represents about a 16 percent discount versus hiring a U.S. citizen. Ten years ago, lawyer John Miano, a former tech programmer with 30 years of on-the-job experience, an acknowledged expert on foreign labor’s deleterious effects on domestic workers, co-author of H-1B exposé Sold Out and contributor to the pro-America U.S. Tech Workers website, filed a lawsuit against the Department of Homeland Security for exceeding its authority when it approved OPT. Miano hopes that the lawsuit, should it ever end, will reinstate the original one-year OPT limit. OPT offers a window into how immigration processes have been mangled to fit foreign nationals’ agenda. In the Immigration and Nationality Act of 1952, there was no authorization for aliens on student visas to be employed at all. The next year, new regulations authorized aliens to work in student visa status as an internship-like situation and limited to what was required for specific training. In 1964, more new regulations from the Justice Department addressed “practical training,” but did not address if this could occur post-graduation, and there was no reference to providing aliens work status on the student visas. Then in 1977 certain aliens were given the ability to work after graduation. More changes continued until OPT was created in 1992. And since then, more adjustments have been made so that today work authorization for up to the aforementioned 42 months has been extended to foreign students. 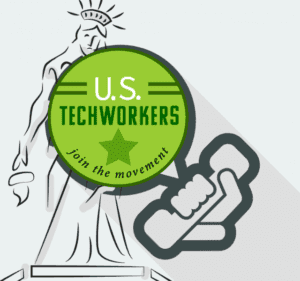 In a sign of the times, today lawsuits must be filed to protect U.S. tech workers against OPT, a program that Congress never approved and was never posted for public notice or comment. The legal battle to restore OPT to its original format has been locked in an endless ten-year slog. U.S. tech workers, therefore, shouldn’t expect relief anytime soon from OPT job dislocation. This entry was posted in Updates and tagged opt, optional practical training, students, tech workers, technology, visa.